Where are New Jersey Residents Moving To? In 2017, New Jersey ranked #2 as the most moved from state in the country. In fact, New Jersey has held the top spot for five consecutive years in a row. If you’re a Garden State resident yourself, this might not seem all that surprising. With an increased cost of living, congestion and ever-climbing housing prices, more and more residents are choosing to leave this coastal state. While New Jersey’s spot in the top 5 moved from states might not surprise you, what might is where New Jersey residents are moving to. Take a look at where exactly former NJ inhabitants are now calling home. While most people’s top guess would be that New York would take the #1 place, Pennsylvania actually beat out the Empire State for this spot. Last year alone 40,118 people moved from New Jersey to bordering Pennsylvania. Movers cited reasons like a better quality-of-life and new commuting patterns as the driving forces behind their moves. The commuting zones for New York, New Jersey and Maryland are expanding into Pennsylvania,” said Gordon De Jong, professor of sociology and demography at Pennsylvania State University. With counties like Pike and Monroe within commuting distance of the New York metropolitan labor market and counties like Northampton, Bucks and Lehigh within close proximity to New Jersey’s labor market, experts suggest that you will see the population of these communities thrive as residents are expanding their commuting distances. With an aging baby boomer generation, it’s no surprise that Florida takes the second spot with 33,966 people moving to this sunny state. Florida is known as a popular destination for those looking to retire and save a bit of money. While factors like warmer weather and a relaxed lifestyle are top reasons for relocation, a lower cost of living is also a big factor. The median home price in Tampa is $211,000 while the median in Jersey City is $460,500. This drastic difference in real estate is a big reason why residents are opting for a Florida address instead. The New York and New Jersey state swap continues with 33,747 people moving from the Garden State to the Empire State in 2017. While most people typically hop the border for an easier commute, you can also factor in the increased number of millennials opting for a city lifestyle instead of a suburban one like their parents. In 2017, 11,988 New Jersey residents made the cross-country jump and relocated to California. Top factors for 3,000-mile jump include better weather, increased job opportunities and greater education opportunities. General moving trends for last year noted that more and more residents are moving South and West, playing right into the #5 spot. Last year, 11,706 people moved from New Jersey to North Carolina. This influx of residents moving southbound can largely be attributed to a growing number of people choosing to retire in North Carolina, but it can also be attributed to a lower cost of living. For example, rent Prices in Princeton, NJ are 68.02% higher than in Raleigh, NC. Leaving New Jersey? 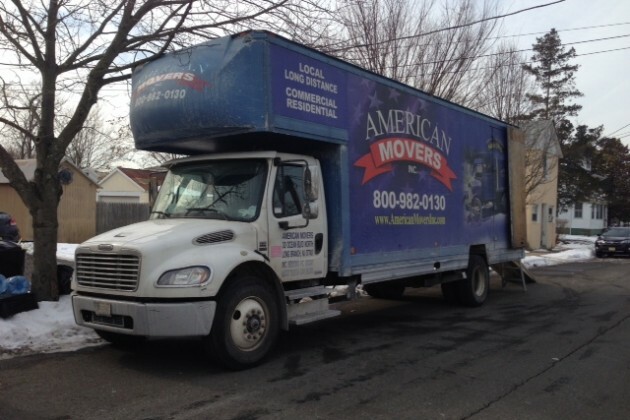 Get in touch with American Movers of New Jersey for a free quote!